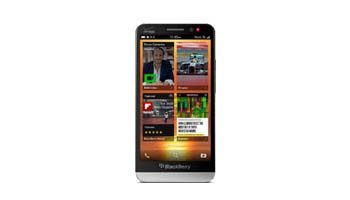 Whatever is wrong with your Blackberry Z Series you can feel sure that the Mobile Repair Centre can help. We know that being without your phone is horrible so we’ll aim to get you back up and running as soon as possible. The Blackberry Z Series phones are reliable but it is so easy to drop them or damage them in some other way, which is where we come in. We’re proud to be Blackberry repair experts so you can feel confident that your phone is in safe hands. 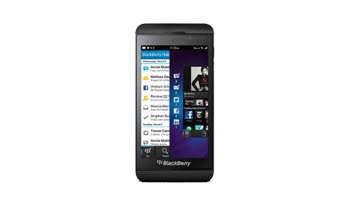 We have recent extended our workshop which means that our Blackberry Z Series repairs are more efficient than ever. Simply bring or send your Blackberry phone to us and within minutes we’ll diagnose the problem – which means that we can start on getting it back up and running. We offer superfast Blackberry Z Series phone repair, because we understand that when your phone is damaged you just want it fixed as soon as possible. Whatever the problem is with your phone, our Blackberry repair experts will do their best to get it up and running. In fact we can usually fix the problem even if you don’t know what the issue is. We offer same day Blackberry Z series repair in London or you can post it to us and we’ll fix it as soon as possible. Whether it’s a cracked screen, a phone that won’t charge or something more complicated you can rely on the Mobile Repair Centre to get you back up and running as soon as possible. You don’t have to put up with a broken Blackberry Z series, instead get in touch with us and discuss getting your handset fixed. Ring us, fill in the form or do an online chat and one of our friendly team will talk you through the easy process of getting your Blackberry Z Series repaired.